CHRISTMAS – Despite being our busiest time of the year its one we all love and relish. 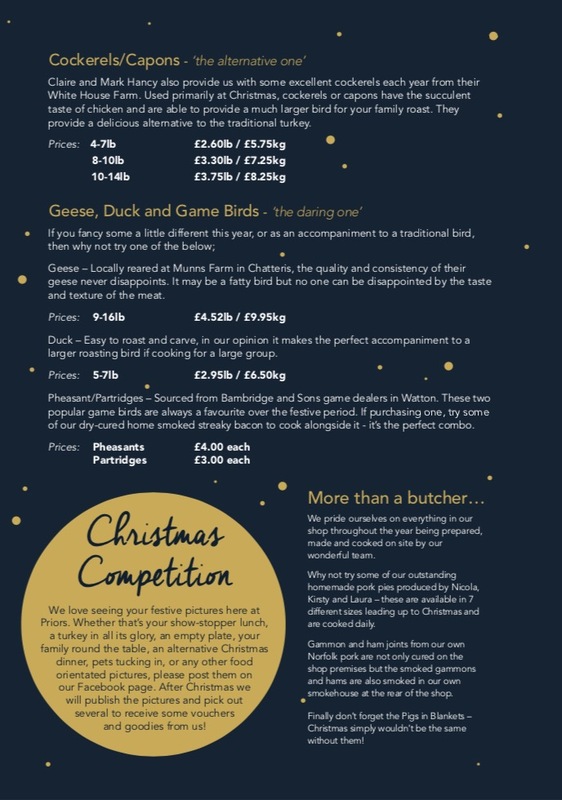 Our order books generally open at the end of October, however we only take orders for poultry products as we guarantee all our customers that we will not run out of anything and will get the rest of your order together upon being served. 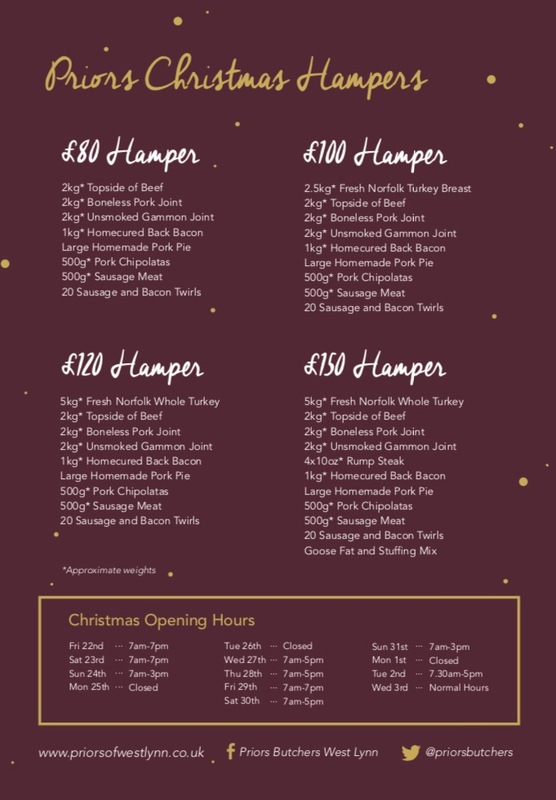 Our prices, opening hours, products and hamper details are all shown below. All our Christmas poultry (Turkeys, Cockerels, Pheasants, Geese, Ducks etc.) are local, outdoor reared birds loved and cared for by farmers who have been in the industry many years. 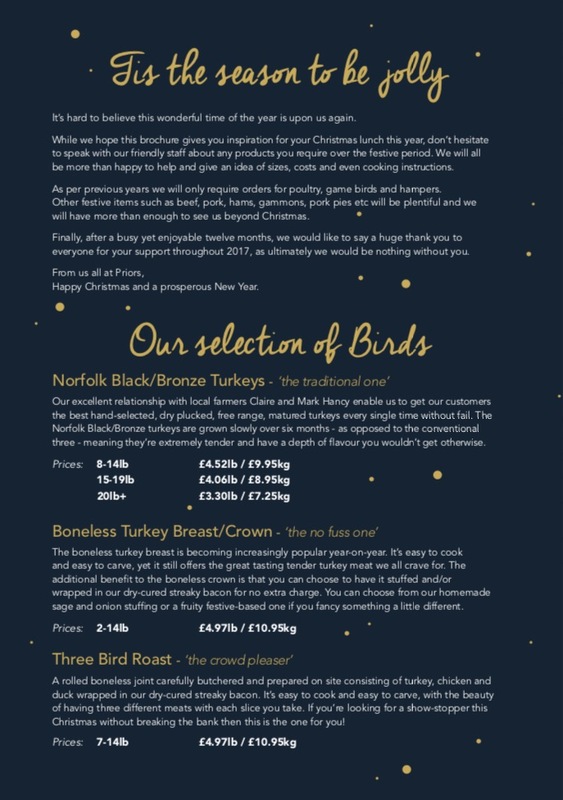 Our Turkeys are generally a Norfolk Bronze variety which is known for having great breast definitions and being of a fuller flavour. 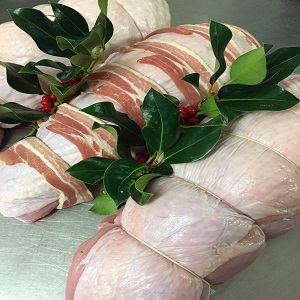 However if you are not a fan of the traditional Turkeys for lunch why not have a boneless Turkey Crown. These can be stuffed and/or wrapped in bacon at your request. The boneless crowns are easy to carve and are ideal for family who prefer the breast meat only. 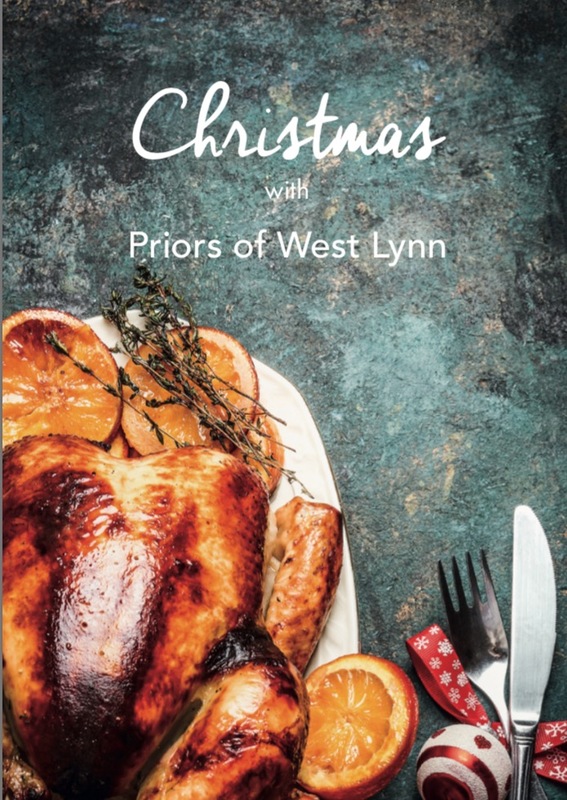 Away from poultry we have lots of other fantastic festive products available at the shop such as; Goose fat, sausage and bacon twirls, homemade Christmas puddings, cranberry and orange topped pork pies, festive pork pie, fruity stuffing mixes, holly wreaths, clementine shoe boxes, and many many more!